This is the process of researching your options and figuring out whether you are interested in adoption. For help with this process, give us a call at (806)741-0268 or (888) 741-0268 to speak to an Adoption Specialist. Contact us or fill out a request here for an adoption information packet. The packet includes resources to help you make an informed decision. It also includes some forms to fill out about your medical history. 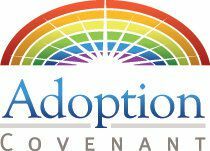 This information is confidential and does not commit you to choose adoption, it simply gives us the information we need to begin working on your adoption plan. Our Adoption Specialist will work with you to answer any questions you have about the process or what to expect. She can discuss your options with you to determine whether adoption is the right choice for you and your baby. She will also discuss your financial situation and ways that we can help pay for your medical bills and living expenses during your pregnancy and immediately after. If you need a place to live during your pregnancy, she can also discuss the options we have available. Next, our Adoption Specialist will help you put together a hospital and adoption services plan. The hospital plan discusses everything that will happen in the hospital when your baby is born. There are a lot of decisions to be made during that process and she will help you figure out what will make you most comfortable during that process. Do you want to see the baby? Do you want to see the adoptive parents? She will help you think through all of the issues regarding labor and delivery. The adoption services plan will help you decide on a family, if you haven’t already. If you don’t have a particular family in mind, she can help you select one that would be a good match. You can choose whether you’d like to meet with the adoptive family, whether you would like to stay updated with pictures and letters, whether you would like to receive counseling, etc. You can also receive assistance with medical bills and housing/living arrangements. Adoption Covenant will work with the hospital to make sure your hospital plan is followed and everything is done the way you wanted. This is a very emotional time and it is a good idea to talk through this process with your counselor and adoption specialist to prepare yourself for your hospital stay. As long as you are still comfortable with your adoption plan, placement will occur after the baby is born. Usually, the baby can be placed with the adoptive family upon discharge from the hospital. At that point, some legal documents are signed giving the adoptive family the right to take the baby home and care for them until the adoption is finalized. Forty-eight hours after delivery you will sign the documents that allow your child to be adopted. There can be a lot of emotions after you place your baby for adoption. We have a counselor for you to work with and help you through this period. This is why it is important to research your options at the beginning so that you can be confident in your decision even when you are feeling emotions such as grief or loss after birth. We are here to provide emotional support and resources to help you adjust after pregnancy.